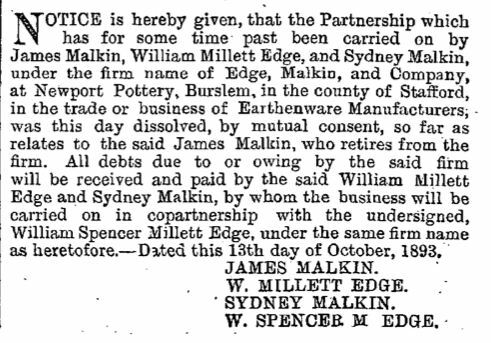 The Malkin and Edge families were very successful pottery, tile and earthenware manufacturers. c.1846 Joseph Edge, jun., entered business as earthenware manufacturers with Benjamin Cork, under the style of Cork and Edge. Their factory standing on the site of the present Art School in Burslem. 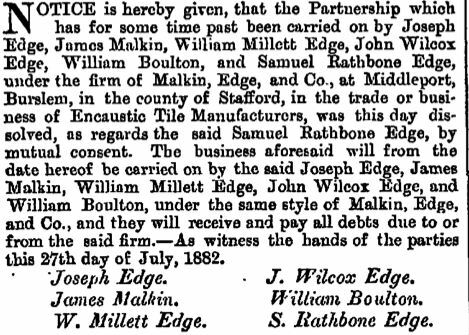 Malkin joined in 1860 and the company traded as Cork, Edge & Malkin. 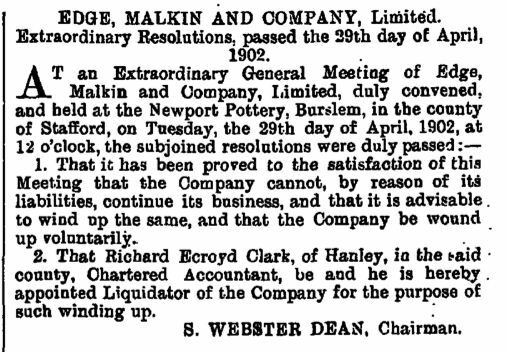 From 1871 Edge & Malkin continued the business. From 1903 the pottery business was continued by S.W. Dean on his own. 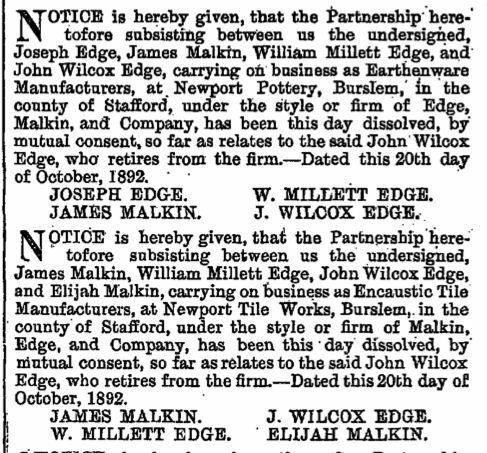 Originally founded as Malkin, Edge & Co in 1866. Sydney Malkin was travelling in America for the firm when his father died in 1894. 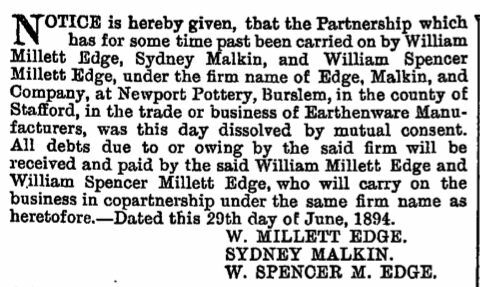 Sydney retired from the firm of Edge, Malkin & Co., and joined with his brother, Mr. Elijah Malkin, in the firm of Malkin, Edge & Co., tile manufacturers. 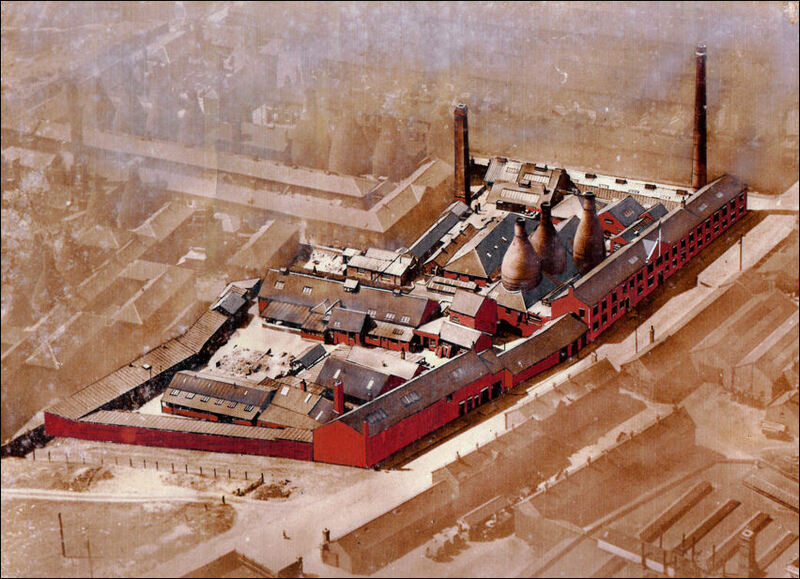 When this company was reconstructed in 1901, Sydney became managing director of the Malkin Tileworks Company Limited, Encaustic Tileworks, Burslem. 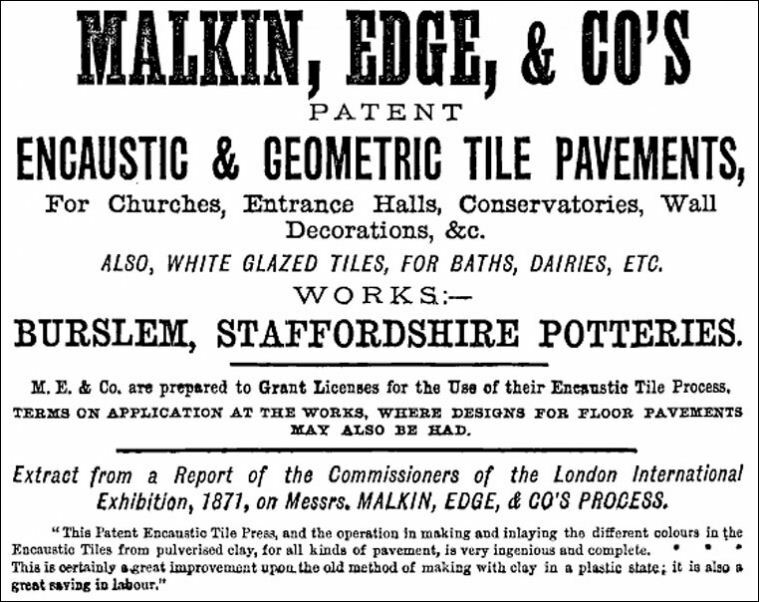 1876 advert for Malin, Edge & Co's. 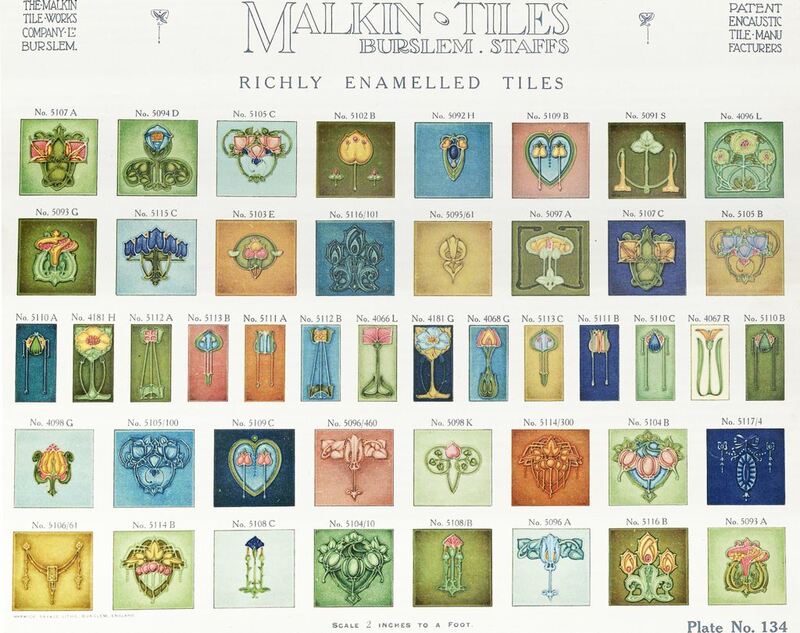 Malkin Tiles was an offshoot of the earthenware company Edge, Malkin and Co. 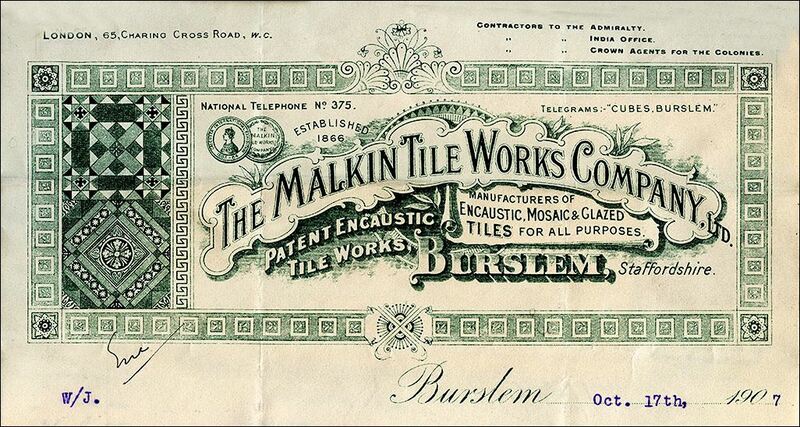 Initially they traded as Malkin Edge & Co, later becoming Malkin Tiles and eventually Malkin Tileworks. Manufactured a wide range of tiles, mainly moulded and encaustic dust-pressed. Eventually absorbed into H & R Johnson in 1968. There have been Malkins in the Potteries for three hundred years and more, and a branch of them went off to Leicestershire and founded a distinguished family there. 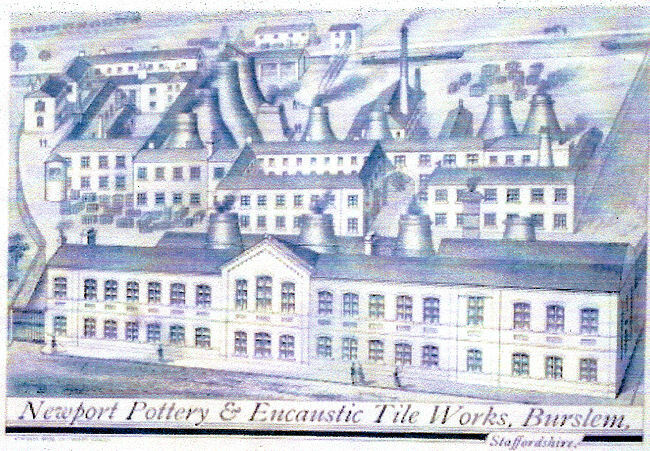 Mr. Sydney Malkin's grandfather was a working potter, a dipper, who suffered from lead poisoning; he was maintained by his son, the late Mr. James Malkin, during his later years, and was buried in St. Paul's Church-yard, Burslem. Mr. Malkin's father (James Malkin) went as a lad to the Anderton Canal Carrying Company, of which the first Lord Loch was a director. Mr. James MacIntyre was manager, and when he went into the pottery trade, Mr. James Malkin succeeded him as manager. Mr. James Malkin (Mr. Sydney Malkin's father) married the eldest daughter of Joseph Edge. 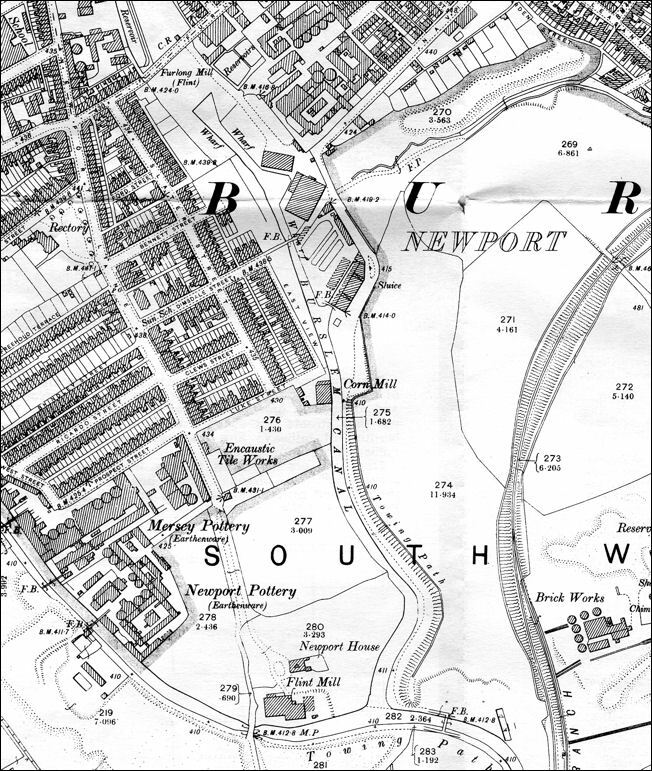 The Edges came from Horton, near Rudyard, where they occupied a considerable position; but they lost their prosperity, and one of them Joseph Edge (the great grandfather of Mr. Sydney Malkin) found himself as a youth derelict in Newcastle Street, Burslem. The anecdote has come down that he prayed for guidance as he walked, and that at that moment, a townsman saw him and had compassion on him, and took him home to his bakers' shop. When Joseph Edge's benefactor died he took over the business. 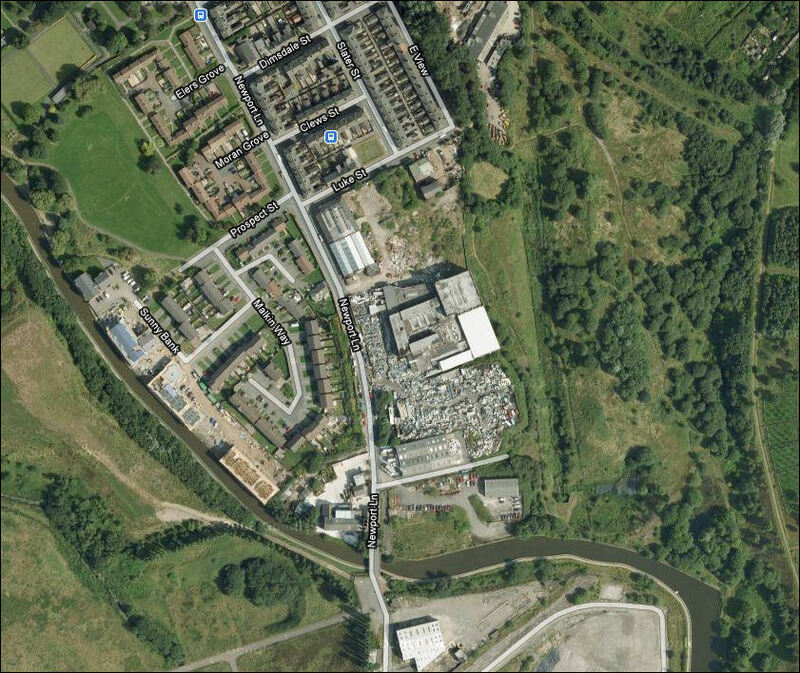 note the name of one of the new roads is "Malkin Way"
The Glazed and Floor Tile Manufacturers Association was formed in 1913. Richards Tiles and H & R Johnson were the dominant tile companies in the 1930’s and during the post war years until their merger in 1968. Before then Richards had acquired T & R Boote and Campbell Tile which included Maws and Minton Hollins. "Marked by bold colour halftone and lithographic plates, this catalogue provides numerous renderings of the Malkin company’s vibrant design options. Like its regional competitor and contemporary, Mintons; Malkin excelled in geometric encaustic flooring layouts, a wide variety of which are displayed here. This publication offers border, field, and frieze tiles, as well as mouldings in classical and Art Nouveau styles."